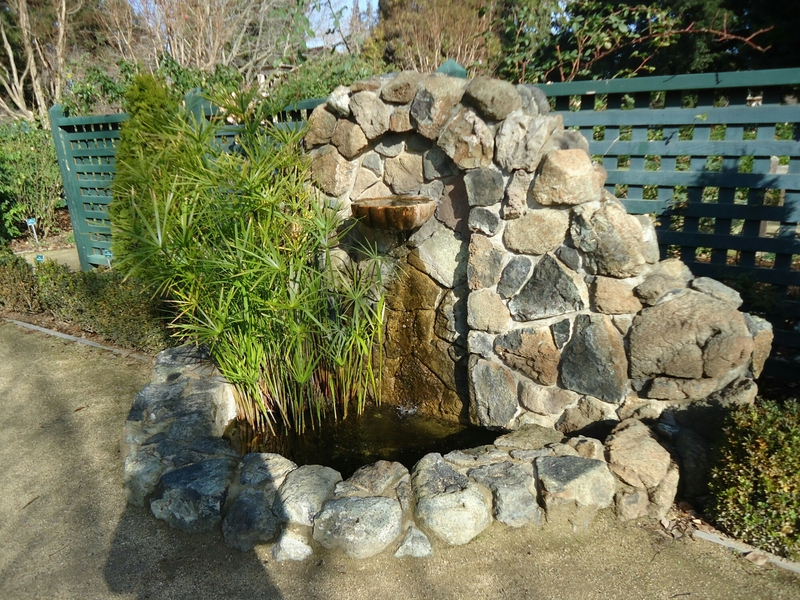 Elizabeth Gamble Garden Centre is a beautiful place, 2.5 acres of peace and greenery. The weather was great for a quiet stroll around. I was told the spring exhibition of flowers are a treat. 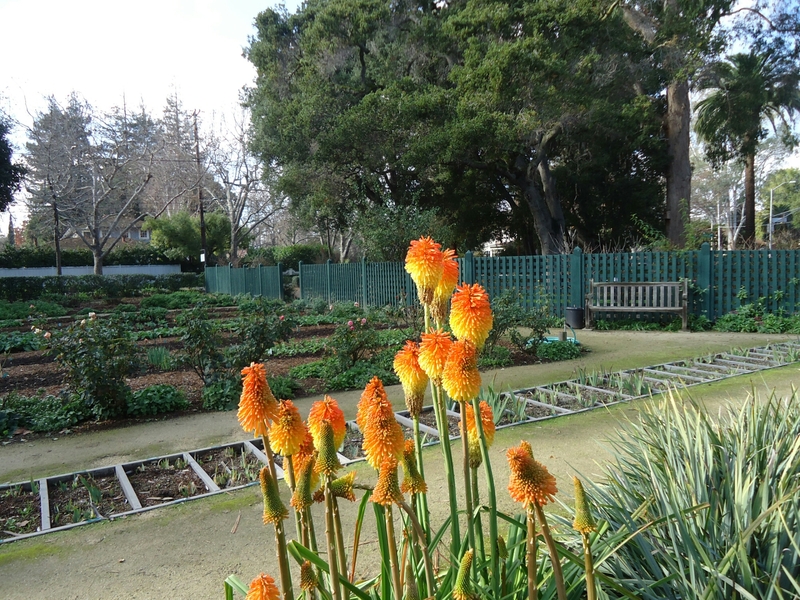 The gardens are open to the public for free each day during daylight hours, and the house is open on weekdays from 9 a.m. to 2 p.m. The University itself can be explored for atleast a half-day (or more) depending on your interests. 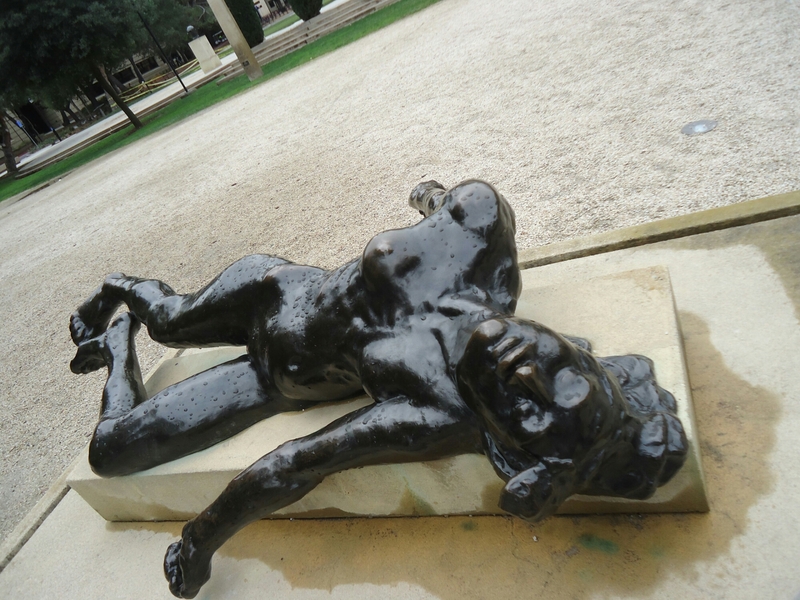 I chose to visit the top-spots – Cantor Arts Centre, Rodin’s sculpture museum and Memorial Church. I did want to check out the campus, classrooms etc but decided to do it another day. 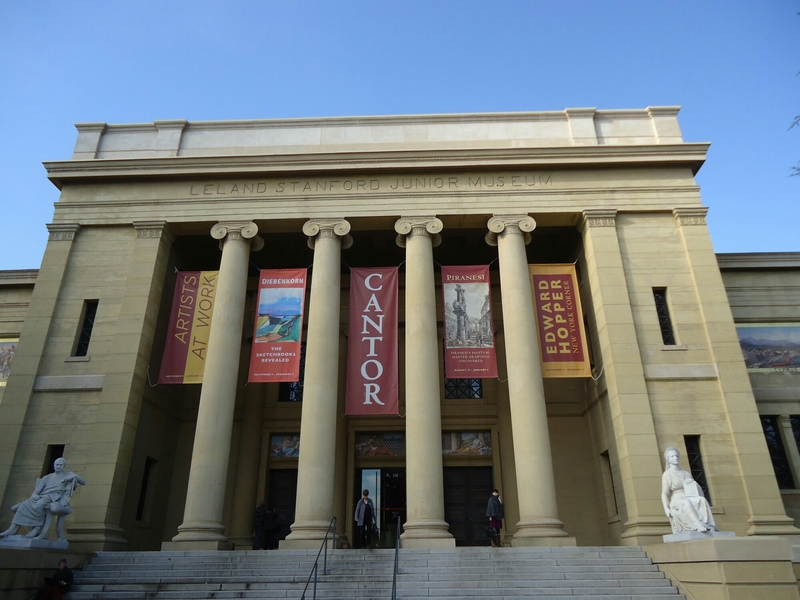 Cantor Arts Center: The museum boasts of an amazing collection from all over the world by founder of Stanford University Leland Stanford Jr. In 1989 the museum was severely damaged due to an earthquake and was resurrected once again. 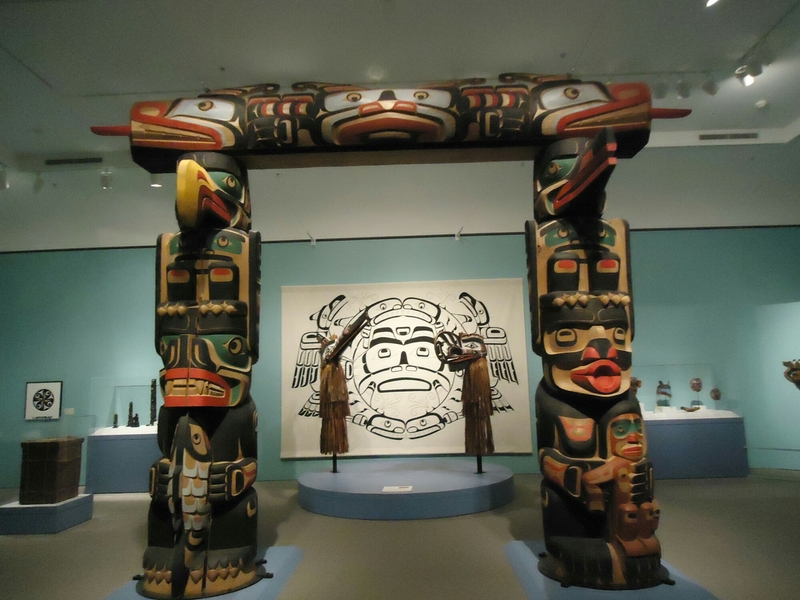 It has a lot of art galleries with collections ranging from modern/contemporary, Asia, Africa, Oceania, Europe and their own family collection. Auguste Rodin was a modern sculptor from Paris who was never accepted into school of art. His sculptures are famous for its depth and realism. Cantor Arts center has his largest collection and the sculpture garden is similar to the one in Paris. The collection was a treat to watch close and introspect. Is located at the center of the Campus. Yet another gem to visit. The architecture was stunning with beautiful murals! It was built during the American Renaissance by Jane Stanford as a memorial to her husband Leland. The Hoover Tower is a part of the library housing many archives. The highlight is going up the tower (for a nominal fee) , on to the observation deck to see an amzing view of Stanford and its surrounding areas. It was closed on the day I went and so could not go up top. Young female and shopping? Not to generalize here but I just couldn’t pass the opportunity and spent the last few hours at the renowned Stanford shopping center. It is upscale and fancy but did not disappoint me at all during the holiday season. 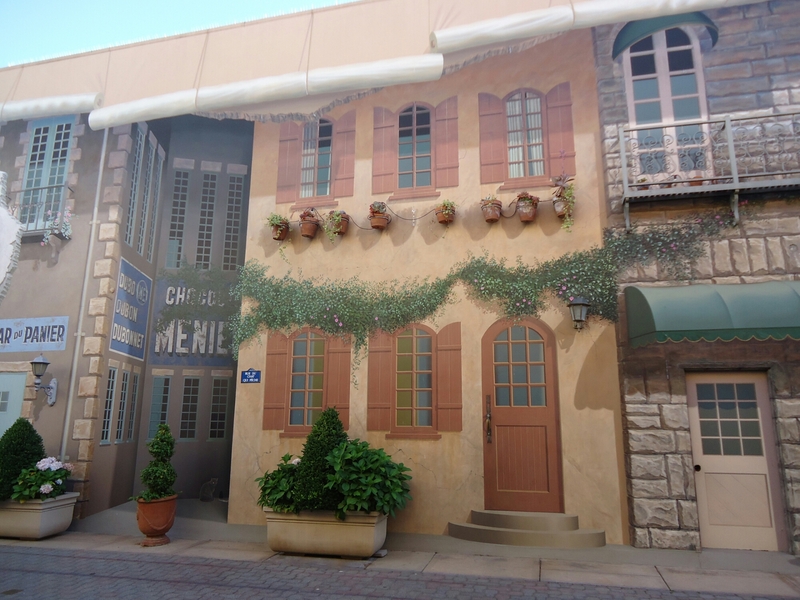 No it is not the ‘rue du chat qui peche’ of Paris.. though the wall painting had a beautiful Euro feel at the shopping center! The day ended by spotting one the most famous Tamil actresses shopping there. I did hear that celebrity-spotting is quite common in this area. Please do show your support by following me on Facebook – http://www.facebook.com/jansdoodles and Twitter – @zanyajan. Have something to discuss? Write to me at jansdoodles@gmail.com. ← Love and long distance! Hye Rafia!! Do plan a visit and also let me know 🙂 With R being there, I keep travelling around. Maybe we can catch up! It was Trisha 😀 As Hyderbadi, I am sure you know her. She is a hit among Telugu movie fans as well! How very interesting!! Those sculptures! 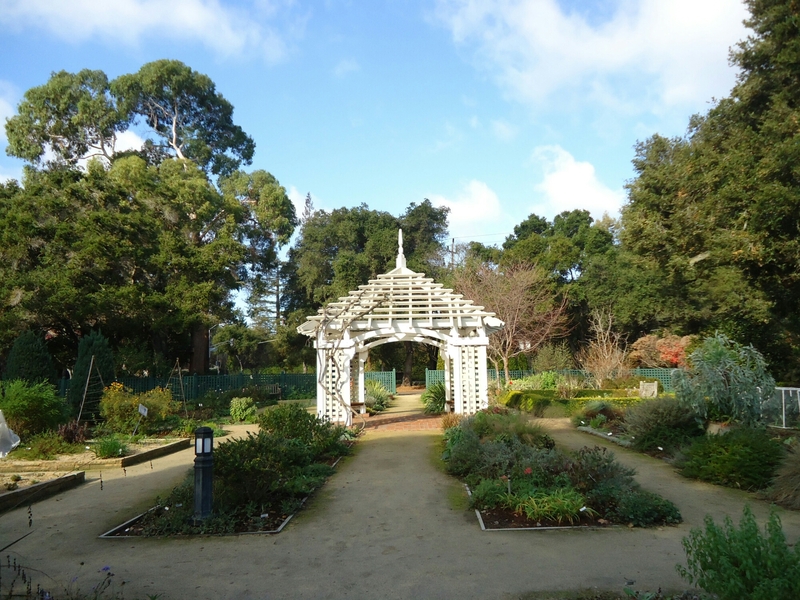 A comprehensive article on Palo Alto. I’ve heard about the place more for its spiritual centres. This will be a good guide, thanks. Thanks for stopping by Nandhini 🙂 It definitely is a place for art and nature. And food which I didn’t mention here. Downtown Palo alto has some amazing restaurants.